A mix of clouds and sun during the morning will give way to cloudy skies this afternoon. A stray shower or thunderstorm is possible. High 79F. Winds E at 5 to 10 mph..
Isolated thunderstorms early, then mainly cloudy after midnight with light rain possible. Low near 60F. Winds light and variable. Chance of rain 70%. Jackson Hoit, the son of Jeremy Hoit and Tara Hoit, is a senior at Brooke Point High School. Jackson is a member of National Honor Society, Tri-M Musical Honor Society, Youth in Philanthropy and the Early College Scholars program. 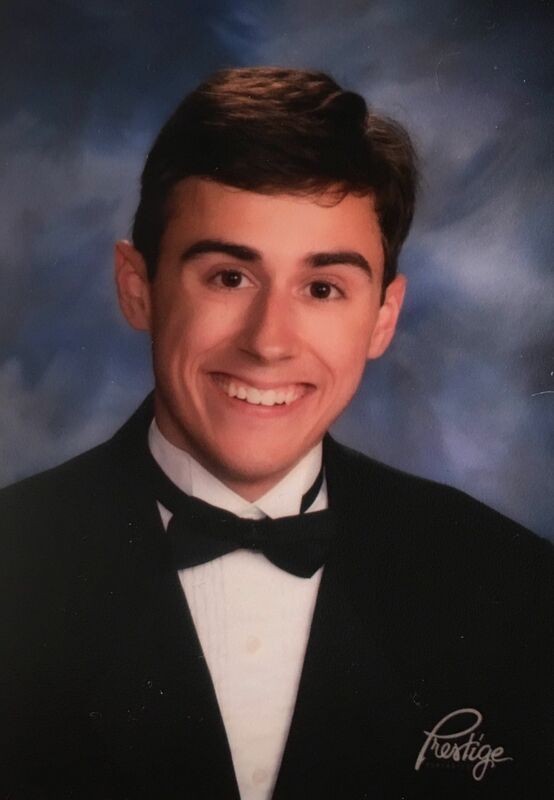 He has been awarded academic letters during all four years of high school, the IB Chemistry and IB History Passion awards and the Bronze Medal President’s Volunteer Service Award. He has been named Coca-Cola Scholars Semi-finalist and Senior Homecoming King. Jackson has played varsity lacrosse. He has earned varsity letters in winter track, spring track and cross country, and he has served the spring and cross country teams as captain. He has volunteered with Capital Caring Hospice and bereavement, creating a program called Music for Caring and serving as a camp counselor twice a year at a children’s grief camp. Jackson plans to attend Colgate University and major in chemistry. Makayla Rillamas, the daughter of Jennifer Godlove, is a senior at Colonial Forge High School. Makayla is a member of National Society of High School Scholars, Environmental Club and Young Democrats Club, actively organizing the March 14 walk-in concerning school safety. She has been awarded the Distinguished Learners Award: Literature, Distinguished Learners Award: Algebra, Academic Excellence: Technical Drawing & Design, Academic Excellence: Art Foundations and Coast Fest Best Catch Award. Makayla volunteers on the Poetry Out Loud Evaluation Board and as an animal care volunteer at Stafford SPCA. Makayla plans to attend George Mason University and major in environmental and sustainability studies, with a minor in art as a social change. She plans to volunteer for the Peace Corps to raise awareness for environmental protection, promote sustainable resource usage and empower people and communities to create a positive change in the local environments. With this experience, she plans to go back to college for a master’s degree in environmental and humanitarian work. Justin Simon, the son of Patrick and Susan Simon, is a senior at Fredericksburg Christian High School. During his four years of high school, Justin has been part of many clubs and activities. He has served as Tech Team Leader, is a member of the Worship Team where he handles all video and audio for chapel, and is a member of the Leadership Institute. Justin served with the Right to Life Club and filmed a documentary during the Right to Life March in Washington, D.C., in 2017. He works with the Drama Club, filming promotional videos for upcoming plays, using drone technology, video and photography. He also handles light and sound for school plays. Justin has received academic awards in English, chemistry and world history. Justin was the yearbook photo editor in his junior year. He has participated in the West Virginia Missions team for the past two years and will return in March when the team travels to Chestnut Mountain Ranch, a school for boys who come from difficult family backgrounds. Justin was selected as the Rotary Club’s Ethical Student of the Year by the school faculty in his junior year. During the summer before his junior year, Justin worked at FCS in the IT department to prepare the school for updated computers and additional new technologies. Justin has been a member of the FCS cross country team for three years, serving as team captain his senior year and finishing in the top 10 and top 5 in his junior and senior years, respectively. He earned All-Area Conference honors for three years. Justin has earned several sports awards, exemplifying his leadership and competitive skills. Justin achieved the rank of Eagle Scout in September 2017, with Troop 1221 in Stafford County. He has held several leadership positions within his Troop. He has given countless community service hours to his school, his community and his church. Justin currently serves as camera operator at Ebenezer United Methodist Church on Sundays for their live streaming services. Justin plans to attend college after high school to study cinematic arts. Miguel Andres Hernandez, the son of Deb Hernandez, is a senior at James Monroe High School. Miguel is a member of the National Honor Society, DECA, Beta Club and Key Club. He is a James Monroe Scholar. Miguel has run varsity cross country. He has played varsity football and was named second team All Region kicker. Miguel plays varsity soccer and has served as team captain. He has won the Coaches Award and been named to second team All State, first team All Region 3B and first team All Conference. He is also a member of a Stafford Area Soccer Association travel team. Miguel has volunteered with Make a Wish Foundation, Wounded Warrior Project, Relay for Life, Semper Fi Fund, Strides Against Breast Cancer, Old Dominion Humane Society, American Heart Association, Rappahannock Pops Orchestra and Top Soccer. Miguel has applied to Virginia Tech and the University of Richmond on a pre-med track. Caroline Mork, the daughter of Bruce and Tracy Mork, is a senior at Massaponax High School. She is the vice president of the senior class, a chair representative for DECA, co-captain of the Forensics team, and active in the drama department. In 2017, Caroline won the VHSL Forensics state championship for serious duo. Caroline and the cast of “When She Had Wings” are state champions of the VHSL One Act state competition, after winning the regional and super regional competitions in February. Caroline was also recognized for Best Performance in the sectional, super region and state competitions. She will compete at the DECA state leadership competition with a written manual about the alumni career fair she helped coordinate at Massaponax. Caroline plans to attend a four year university in the fall. Brian Marigny, the son of Dwayne and Maria Marigny of Stafford County, was selected at Mountain View High School. He is a member of FBLA and DECA. As a member of DECA, he was a district champion in the entrepreneurship category. He is also a member of the school’s varsity lacrosse team. Brian plans to attend college and double major in business administration and psychology. His goal is to be a business owner or clinical psychologist. Charlotte Grace Deering, the daughter of Rory and Jennifer Deering, is a senior at North Stafford High School. Charlotte is a trustworthy, reliable, good-humored student and friend who supports others in and out of the classroom. Her positive attitude and belief in herself, even in the face of difficulty, constitutes the essence of a true optimist. Charlotte has engaged in the most challenging and rigorous coursework through Commonwealth Governors School. She has an impressive list of activities and imbedded awards including Forensics Public Speaking (team captain, four years), choir and chamber choir, Hugh O’Brien Youth Leadership Award, AP Scholar, National Merit Scholar Commended and creating lovely works of art. Her volunteer activities reflect her strong values and integrity. She has derived great satisfaction from her involvement in church choir, cantoring for special services and serving as a teen staff member and mentor at summer camp, Camp Crossroads, for four years. Charlotte plans to attend either the College of William and Mary or James Madison University and major in biology and art. Nicole Fontenot, the daughter of Larry and Karen Fontenot, is a senior at Riverbend High School. Nicole is a member of DECA and has been a International Career Development Conference competitor and State Leadership Conference competitor, earning 6th place and Top 9 in food marketing, and a District competitor, earning 1st place and 3rd place in food marketing. She has been a member of the Riverbend varsity volleyball team and APEX Volleyball Club, where she served as team captain. She attends the Commonwealth Governor’s School and has attended the Summer Residential Governor’s School For Math, Science, and Technology and VASTS, Virginia Aerospace, Science and Technology Scholars. Nicole is a member of DECA Honor Society, National Honor Society, National Math Honor Society, Rho Kappa and National Science Honor Society. She has been a member of National Latin Honor Society and earned the Award for Excellence in AP US History, Most Outstanding Latin IV student and Award for Excellence in Honors Math Analysis. Nicole plans to study civil engineering at a four year university. Dylan Carneal, the son of Stephanie and Christopher Carneal, has been selected at Spotsylvania Career and Technical Center. Dylan is a member of SkillsUSA and is OSHA Certified. He has competed in masonry contests for SkillsUSA, placing seventh at the State Fair and fourth in District competitions. He has assisted with the Virginia State SkillsUSA. He has passed the International Residential Code Certification Test. One of his teachers relates that Dylan is a humble and quiet soul who is never looking to be in the limelight or for something in return for a kind act. He gives unselfishly. A classmate who had some major health issues struggled to even make it to class from the buses. Dylan was already looking out for this student. Nobody asked him to, but he took it upon himself to assist this student to and from the bus, to the restroom or to do anything he needed in or out of class. His teacher says that it is refreshing to see a young person, or any person for that matter, thinking of others before themselves. “Dylan is a good person and has a good heart. This world can use as many Dylan’s as we can get.” After graduating high school, Dylan will enlist in the U.S. Marine Corps. Madison Jones, the daughter of Kari and Chass Jones, is a senior at Spotsylvania High School. Madison is National Honor Society president and Feeding Children Everywhere fundraiser president. She is a member of Virginia Readers Club, Student Athletic Council, Knight Advisory Council and Fellowship of Christian Athletes. She is a Freshman mentor. She has received the Voracious Reading Award, Future Doctors of America Award, National Scholar Award and Most Likely to be Found Studying superlative. Madison has been a member of the varsity field hockey team, serving as captain. She received the Knight award in field hockey and earned second team All District at midfield. As a member of the varsity soccer team, she received the Leadership Award. Madison has volunteered at a food packaging event in New Orleans, La., and a Blessings Bag event in Virginia Beach. She has volunteered at homeless shelters, a food pantry, a cleaning Lake Anna event, Little Feet Meet, Relay for Life and Habitat for Humanity. She has tutored, packaged meals for elementary students, knit hats for cancer patients, participated in roadside clean ups, raised awareness for education needs and caroled at nursing homes. Madison plans to attend Oregon State Honors College and double major in biology and biohealth sciences with minor psychology in preparation for an M.D. and career as a surgeon. Jennah E. Chang, the daughter of Jodi Gephart, is a senior at Stafford High School. Jennah is a member of the varsity gymnastics, winter track and volleyball teams and has been a member of the varsity spring track team. She was the only student chosen to be on the interview panel for the new athletic director. Jennah has been a member of SkillsUSA and has received ADDA architectural certification. She has also received three academic letter awards so far. She has assisted in organizing a volleyball game for domestic violence awareness through Empowerhouse and participated in the Walk for Suicide Prevention. Jennah is currently considering a military career as part of her future plans.